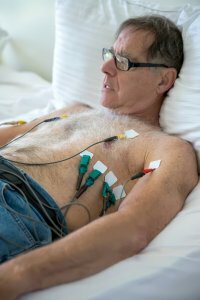 In this guest blog for healthcare professionals caring for people with atrial fibrillation (AF), Vinod Achan (@surreyHEART), Consultant Cardiologist at Frimley Park Hospital, reflects on a Cochrane review on the effectiveness and safety of ablation as an alternative to drug treatment and sets these treatments in context. Permanent (where attempts to cardiovert to sinus rhythm have been abandoned). The risk of progressing from paroxysmal AF to permanent AF over a lifetime is about 20%. Patients with persistent AF tend to be older and have more co-morbidities than patents with paroxysmal AF. AF persisting for over a year is called ‘longstanding persistent AF’. Rhythm control for paroxysmal or persistent AF (trying to keep patients out of AF with drugs like Amiodarone or Flecainide). With Amiodarone, the probability of remaining in sinus rhythm one year after external DC cardioversion may be 70%. With most other antiarrhythmic drugs, that probability is 50%. Invasive ablation treatments for paroxysmal AF can be undertaken percutaneously or surgically to either isolate triggers within the pulmonary veins, or to alter the atrial substrate with atrial ablation. Although repeat procedures are frequent, studies suggest that after one or two procedures, freedom from AF after one year is approximately 60% in selected centres. The serious risks of stroke, cardiac tamponade and oesophageal fistula occur in approximately 2-5% of cases. The role of such an approach in patients with persistent or permanent AF is not clear. Some patients with persistent AF may benefit from ablation depending on the mechanism of AF, but it is not clear how we should select these patients. ‘AF begets AF’, meaning that the longer AF persists, the harder it is to convert back to sinus rhythm. This is due to atrial injury followed by electrical and atrial remodelling; atrial cells and architecture adapt to AF over time making it harder for them to return to normal. For this reason, patients in permanent AF are much less likely to revert to sinus rhythm and the convention has always been to adopt a rate control strategy in these patients. Clinical trials show that except in younger patients, rhythm control may not confer a survival advantage over rate control. What is the evidence for the role of ablation in persistent AF? 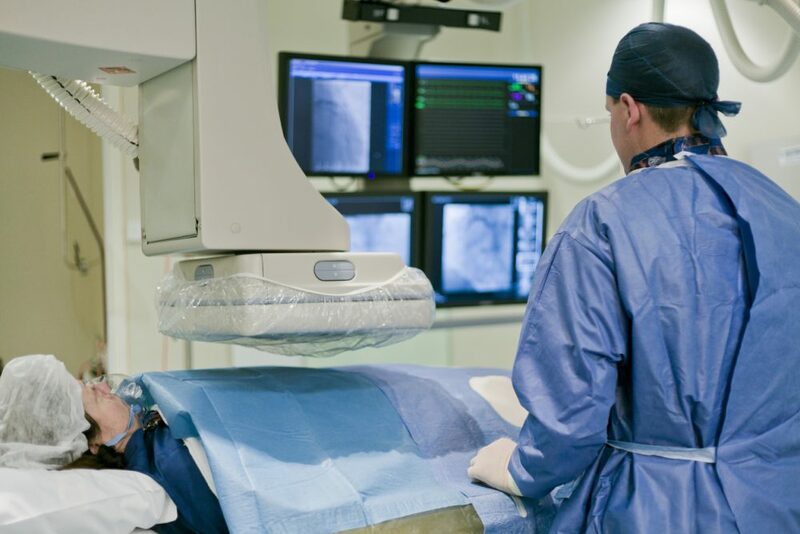 The Cochrane review discovered that a surprisingly low number (3) of single centre randomized controlled trials have compared a pharmacological rhythm control strategy to catheter ablation in just 261 patients with persistent or ‘longstanding persistent’ AF. Reviewers acknowledged the low to moderate quality of evidence analysed; patient numbers were small, patients and investigators were not blinded (patient blinding is hard to do in the absence of a sham procedure) and there was no comparison to a ‘rate control’ arm. The trials looked at heterogeneous groups of patients. Forleo et al (2009) looked at patients with type 2 diabetes only, of which 41% had paroxysmal AF. In the Stabile et al (2006) study, 42 out of 68 patients randomised to ablation had paroxysmal AF. The largest and most recent of the three trials (Mont et al., 2013) excluded patients older than 70 (mean age of trial patients was 55). All studies included a ‘blanking period’ after ablation (ranging from one to three months), the details of which are not clear. Some patients with persistent AF were more likely to be free of AF one year following ablation. However, this does not necessarily translate into a mortality or stroke prevention benefit. Clinical end-points were few. Only one trial (Forleo et al, 2009) looked at the impact on quality of life. All three trials received support from the company making the ablation catheters and in the Forleo study, the senior author served on the advisory board of the same company. The importance of blinding investigators in industry supported research cannot be stressed hard enough. Finally, results in patients with persistent AF must not be applied to all patients with ‘non-paroxysmal AF’. Data suggests that weight reduction and aggressive management of cardiometabolic risk factors (exercise, blood pressure and sugar control) improves atrial remodelling, reduces the AF burden, improves rhythm control, and may increase the success rate of ablation. In a landmark study, Abed et al (2013) demonstrated a significant reduction in AF burden and severity scores 6 to 15 months following lifestyle intervention. Paradoxically, vagally mediated AF in athletes may benefit from reduced exercise. Hypertension increases the risk of AF by 70 to 80% and so good blood pressure control is essential. LV hypertrophy increases left atrial pressure, which in turn exacerbates AF. Even if one is planning to go onto ablation at a later date, these lifestyle changes are helpful to patients with persistent AF. I would then recommend a pharmacological strategy, first with Flecainide (in the absence of structural or ischaemic heart disease, almost always in conjunction with a beta-blocker or Diltiazem), followed if necessary by Amiodarone. If this was not successful, then a discussion about ablation could take place depending on the patient’s symptom burden, age and co-morbidities. In older, asymptomatic patients with significant co-morbidities, a rate control strategy is equally effective. Symptomatic patients with persistent AF despite optimal medical therapy and lifestyle modification could be referred for an invasive EP assessment and, where appropriate only, ablation which is tailored to the precise mechanism of AF. The first attempt should involve pulmonary vein isolation only with more complex ablation strategies reserved for second and further attempts to control AF. It is also important that the patient fully understands that freedom from AF and possibly freedom from symptoms following ablation may not impact survival or the stroke risk. Future research may target the following questions. How do we best select those patients with persistent AF who might benefit from ablation? What are the long term effects of ablation in patients with persistent AF? How do we measure atrial transport and its effect on cardiac function, and how are these affected by ablation? Clinical trials comparing ablation to non-invasive approaches should ensure optimisation of lifestyle and risk factors beforehand. Should patients referred for ablation be discussed at a multidisciplinary meeting in the way we discuss patients being worked up for cardiac surgery? How do we separate industry support from clinical research in any field using invasive technology? How might drugs like ACE inhibitors alter atrial remodelling in patients with AF and thus improve ablation outcomes? To summarise, this Cochrane review asks an important question on ablation compared to medication in persistent AF, but published RCT data on this subject is surprisingly sparse. As a result, it is not possible to conclude that catheter ablation techniques are superior to medication in patients with non-paroxysmal AF. Therapy should always be tailored to individual patients. In patients with persistent AF, this will usually mean an initial trial of medication followed by possible invasive assessments and/or ablation only when symptom control has not been achieved. Vinod Achan has nothing to disclose. Nyong J, Amit G, Adler AJ, Owolabi OO, Perel P, Preto-Merino D, Lambiase P, Casas JP, Morillo CA. Efficacy and safety of ablation for people with non-paroxysmal atrial fibrillation. Cochrane Database of Systematic Reviews 2016, Issue 11. Art. No. : CD012088. DOI: 10.1002/14651858.CD012088.pub2. Vinod Achan has been a Consultant Cardiologist at Frimley Park Hospital, Surrey, since 2007, where he played a key role in developing the Pacing and Coronary Angioplasty service. Frimley Park Hospital is now a regional Heart Attack Centre for patients from Surrey, Hampshire and Berkshire. Dr Achan completed his undergraduate training at Oxford University in 1993 and was a Fulbright Scholar at Stanford University, California, from 1999 to 2002. Really interesting blog. It is disappointing there is not more data on this subject. I am looking forward to the results of CABANA and EAST- AFNET 4 trials, both including >2000 patients looking at ablation and medical therapy and hard clinical endpoints. As you mention I think we need to get better at identifying which patient’s are most likely to benefit from an ablation. My experience is that those patient’s who know a friend or relative who has had a successful ablation are very keen to have one themselves, whereas those who have no 1st or 2nd hand expereience are much more wary of the small risk of significant complications. Having paroxysmal Afib for at least ten years and having gone through the torturous medical path available to one in the US for this condition along with consistently reviewing the medical literature that is produced on its many aspects I must say that Dr. Achan’s clear, concise summary of where we stand and where we think we stand is a relief compared to the word salad that I and others have to typically endure to tease out something informative. This is not only my assessment but also that of other Afib sufferers in our little Afib info sharing group that I’ve pointed to this article. Thank you Dr. Achan, you’ve done us a significant service.